Many jurisdictions (such as Europe, Japan, North America and China) had restricted or prohibited the provision to retail investors of certain OTC derivatives. These included binary options, margin foreign exchange and other contracts for difference (CFDs) to mitigate harm to retail investors. AFS licensees are on notice that in addition to overseas consequences of potential breaches of overseas law. ASIC will also consider whether AFS licensee are making misleading or deceptive statements about the scope or application or effect of an AFS licence. According to our source, Rakuten Securities Australia has informed its oversea (non-Australian) clients to close their accounts by the 17th of May. 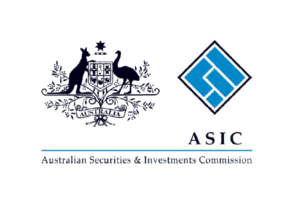 In particular, Chinese authorities have informed ASIC that: ‘some online platforms are illegally engaged in forex margin trading activities.’ AFS licensees with China-based clients may be conducting unlicensed or illegal activities in China if they are providing margin foreign exchange products to retail clients in China. Temporary product intervention measures have recently been extended in Europe by the European Securities and Markets Authority (ESMA). Authorities in the United Kingdom and Germany have announced permanent measures.